You're the kind of person who is never afraid to show a little love and affection. Now you can send some on every envelope! Instead of just signing your letters with an XOXO, you'll make your mark by using Hugs & Kisses Address Labels from CheckAdvantage on the outside of your mail. What a fun way to brighten the day of others! Plus, you'll fall in love with how much easier it is to complete the routine task of filling out envelopes. 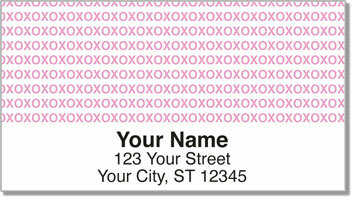 Say goodbye to scribbling out your name and address over and over again! These convenient labels have a self-adhesive backing that lets you peel and place without messing licking and sticking. 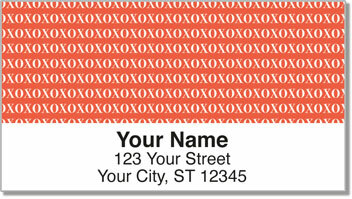 Order your very own Hugs & Kisses Address Labels today! For a match made in heaven, don't forget to take a look at the corresponding personal check design.